The Club has two full lawns which are usually split into 4 short lawns. 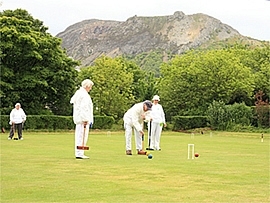 Full lawn games can be played after 3.00 p.m. on Sunday afternoons and on other occasions when the Club is not too busy. Visitors are very welcome. Golf Croquet basic tuition can be arranged. 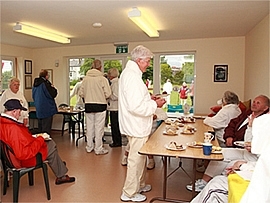 Block bookings from Groups/Parties are especially encouraged to visit and members of various Rotary Clubs, Inner Wheel, 41 Club, Merched y Wawr, Women’s Institute, Brownies, Guides, Round Table, Tangent, 3-Towns Councillors etc attend annually. Group bookings of morning, afternoon or evening sessions £3 per player. The only stipulation is that all visitors should wear flat soled, closed up shoes. The Club is fully stocked with adult and children’s sized mallets bought with grants received from the Conwy County Borough Council Community Chest Fund/Sport Conwy/Sports Council for Wales in 2001/2 and 2009. 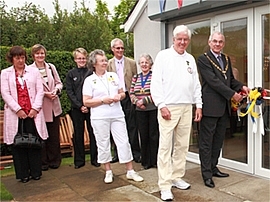 Off lawn facilities consists of a newly completed (October 2008) Club House which includes a fully fitted kitchen, toilet facilities for the disabled and changing area. 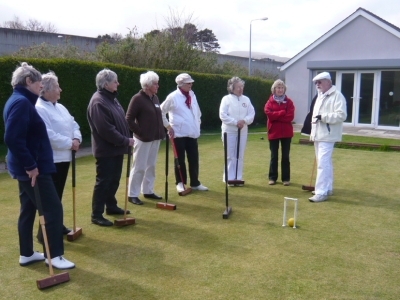 To prolong the playing season the Committee borrowed a mini croquet carpet from the Federation in 2003 and circa 20 members have played at the Horeb Chapel School Room each winter since then until January 2010 when we de-camped to the Llandudno Junction Leisure Centre. 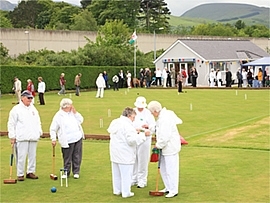 The Croquet Lawns are conveniently situated about a hundred yards from the Llanfairfechan Railway Station on Shore Road West. Across the road will be found 2 multi purpose all weather courts, a children’s paddling pool and play area, a crown green bowling club, football pitch and a yacht pond. Further along the ‘Cob’ is a Nature Reserve and bird hides. 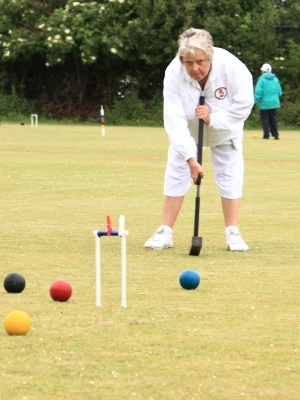 Founded in 1990 by the late Clive Llewellyn, the club grew from the original 12 members to 65 in the space of five years, when the Croquet Association gave official recognition of this wonderful achievement by honouring the club with the Townsend Award. CA Townsend Award – 1995. 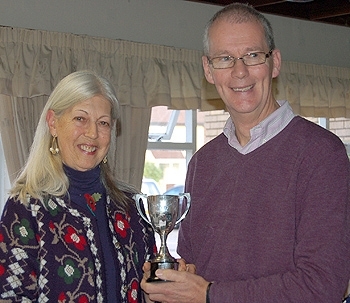 Short League Winners – 2010, 2009. 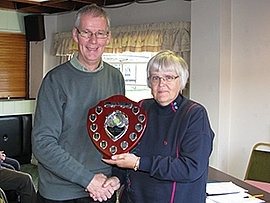 Golf League Winners – 2010.